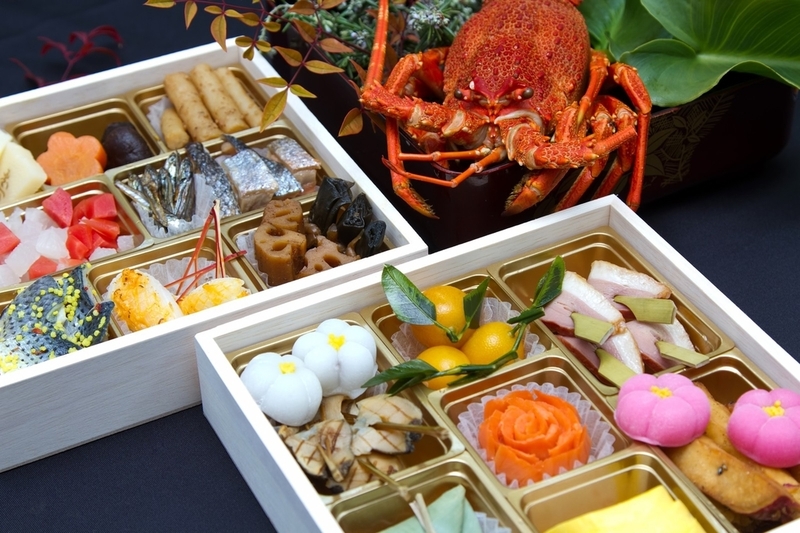 Osechi ryori is special dishes prepared for the New Year. Originally, it was cooked by New Year's Eve. That way, no one had to cook during the first three days of the New Year. Actually, it takes a lot of time to cook osechi ryori. So these days, many Japanese people buy a set of osechi ryori at a department store or supermarket. Each of the foods has special meaning. For example, kazunoko or salted herring roe represents prosperity and many children. Kuromame or sweetened black beans represents health and hard work. Kurikinton is a sweet confection made of chestnuts and sweet potato, and its bright yellow color symbolizes wealth. Shrimp's curved shape symbolizes longevity because it looks like an elderly man who gets a bend in the back.